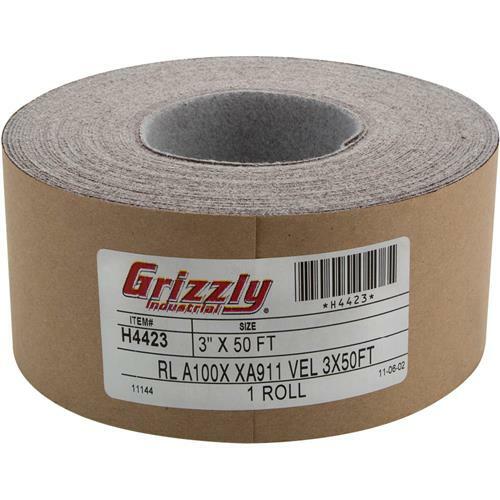 This 3" X 50' 100 GRIT HOOK AND LOOP SANDPAPER ROLL is made from "X" weight resin cloth with hook & loop backing and is designed for drum sanders with hook & loop sanding drums. I have had this for several years, still working great!!!! works well just not enough info when converting over. Also this item was shipped to my old address fortunately the person living there now is understanding. Product was exactly as I was told, it works great. Shipping was very prompt.